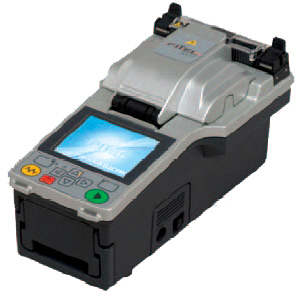 Fitel S177 S177A Core Alignment Fusion Splicer kit. Includes S325A cleaver. 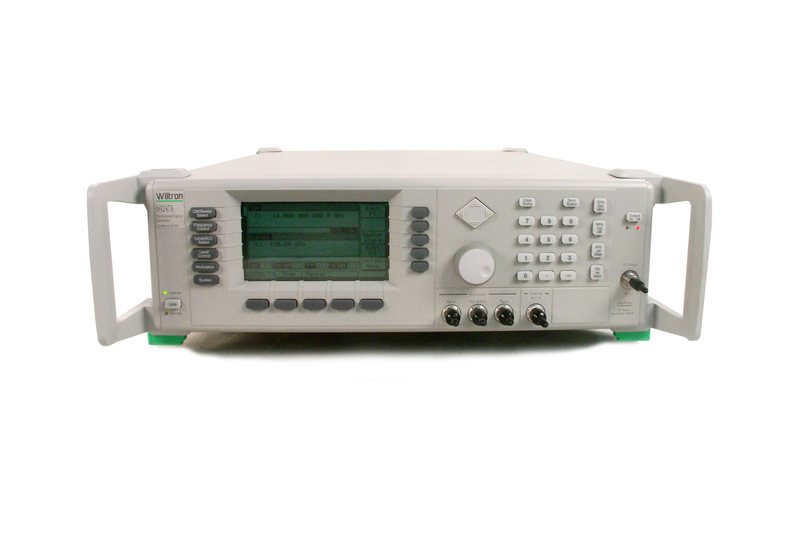 Anritsu 66369A .01 - 40 GHz Synthesized Signal Generator. Includes opt 2&6 Step Attenuator and phase modulation. 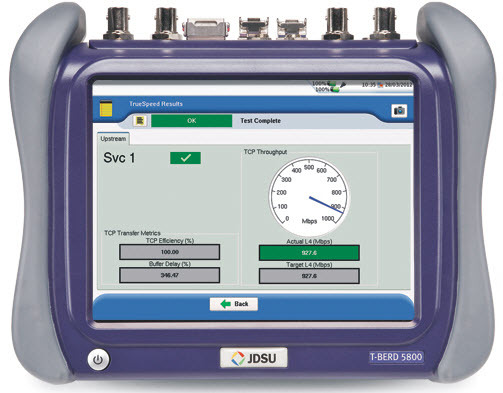 JDSU T-Berd 5800 MTS5800 5812P tests DS1/E1 to STS-1 plus ethernet to 1GigE plus Jitter and WIFI. Call AccuSource to talk with a knowledgeable test equipment professional instead of a trained sales clerk. We will help you find solutions which save time, money and frustration. With our 21,000 square foot, multi-million dollar inventory we can ship the product you need when you need it. This reduces your lead time and eliminates middleman markups. Get the equipment you need without making a large investment in capital. Our rental solutions are the perfect answer to your short term test equipment needs. Simply one of the best sellers I have purchased from. Excellent in every way. 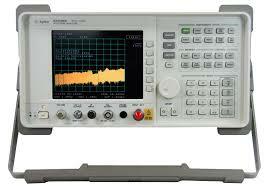 We have just received today the TDS540D, perfectly supplied and it has passed the calibration with flying colours. We really appreciate the cosmetic condition and details as option A1, European mains cable. Very professional. You are really a trusting supplier, I enjoy the way you are making business. You guys went above and beyond your responsibility, and that always makes us want to come back to you! You did good work. Thank you very much. I must say that I am thoroughly impressed with the way AccuSource cares for the product and presentation of the package which left your facility. The small details including local power cords and the AccuSource CDs was refreshing to see. On top of the product, you have provided myself with excellent service and prompt replies which helps us to deliver a better service to our customers. I would more than happily recommend your company if the need arises in the future. Once again, thank you. I look forward to working with AccuSource again in the near future. Perfect transaction, rapid shipping, very nice meter. Thanks! Excellent service, packing and delivery. A pleasure to deal with!! Nice item, beautiful packing. A+ all the way and I would deal with again! I have received the instrument Ok, I really apreciate the cleaning and the European cable as well as the instrument has passed the calibration with flying colours. 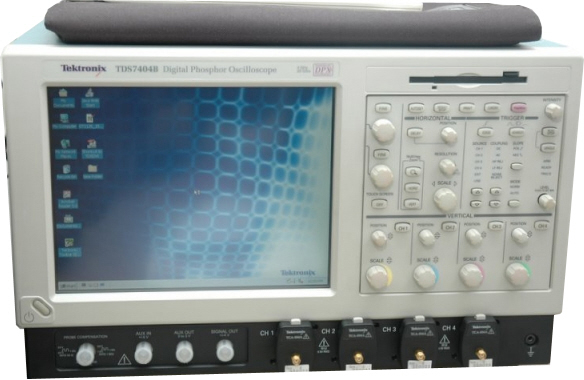 We take great care to ensure that your used test equipment not only works properly, but also looks as good as it functions. We also supply the operation manual and all other standard accessories. With an average of over 25 years in the industry, our technical staff has the experience and training to ensure that you receive your instrument in top form. These certified metrologists follow a 16 step quality assurance process that we have developed to ensure all items we ship are nearly new in function, appearance, and completeness of accessories. While our low prices may seem "too good to be true", rest assured that you will receive the same product quality and professional service that you would typically expect at a much higher price. Your purchase is protected by our standard 90 day warranty and ten day unconditional right of return if you are unhappy for any reason.